It is with heavy heart that the clergy of the Long Island & Hudson Valley Deanery of the Eastern American Diocese of ROCOR writes this statement. We, the clergy of the deanery, are comprised of loyal American citizens, living and working in the United States, paying taxes and participating actively in our local communities. We have grave concerns over the church situation in Ukraine, and wish to express our full support for His Beatitude, Metropolitan Onufry, the universally recognized head of the canonical Ukrainian Orthodox Church. We pray that persecution of the Church, its clergy, and parishioners ceases immediately. 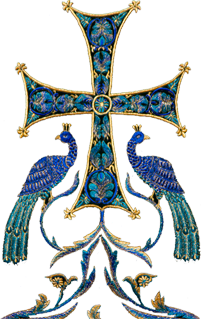 We read with appreciation the report of the Office of the United Nations High Commissioner for Human Rights (OHCHR) from February 15, 2019, acknowledging the violation of religious freedom in Ukraine, specifically the use of intimidation and force against the canonical Ukrainian Orthodox Church by governmental entities and by politically motivated groups. Our hearts break when we hear of the unjust brutal attacks on people of prayer, the desecration of churches and their sacred contents. The Ukrainian government officially claims to support freedom of religion, but that freedom seems to extend only to some. On March 21, 2019, His Beatitude, Metropolitan Onufry, met with Ukrainian President Poroshenko at a meeting of the All-Ukraine Council of Churches and Religious Organizations. In his remarks, the President said: "I, as president, the guarantor of constitutional rights, will do everything within my power to ensure religious freedom in Ukraine. Religious freedom must be the primary subject of our work together." The leader of the government added: "Violence can never be the method by which we resolve problems." We hope and pray that he means what he says, but to date, actions have not matched words. His Beatitude, Metropolitan Onufry, responded directly to the President of Ukraine, citing instances of violence, as well as specific instances of governmental interference in taking of church property from the canonical church. His Beatitude cited the laws that were being violated, and provided lists of affected churches and priests. His Beatitude spoke about intimidation, threats of violence, and lengthy questioning of canonical priests by authorities. We wholeheartedly declare our unending support for His Beatitude Onufry, Metropolitan of Kiev & All Ukraine, the only canonical leader of the Ukrainian Orthodox Church. We are in awe of his wise, pastoral, and truly Christian leadership. He is an example to us all. Contrast this with words and actions of the newly created "church" organization. Handing out official-sounding titles does not legitimize illegal actions. The merger of several bands of schismatics and calling them "autocephalous" does not create a canonical church. This absurd situation would be comical if it were not a matter of the salvation of souls. The people playing these "games" have gotten so carried away with moving pieces on their government-sized chess board, that they are willing to sacrifice the salvation of thousands of souls without even thinking about it, much less thinking about the salvation of their own souls. This is a great sin. We cannot ignore the one-sided and prejudiced coverage the mass media has been providing of the events in Ukraine. There are ongoing attempts to paint the canonical church as anti-Ukrainian, but this is based on a false premise. In reality, the Ukrainian Orthodox Church has broad autonomy from Moscow. Paradoxically, in its search for "freedom from Moscow," the new "church" organization ended up far more dependent on Constantinople than the canonical Ukrainian Orthodox Church is from Moscow. The improper interference by Ukrainian governmental forces must cease. 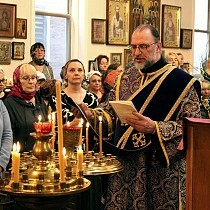 Forcible takeovers of property, threats, beatings of priests and parishioners, theft, and desecration of churches and their sacred contents have become the norm, permitted and even assisted by governmental entities against those parishes that have remained loyal to His Beatitude, Metropolitan Onufry. It is important to note that of all of the reported "transfers," only 42 parishes have chosen to leave the canonical Church for the newly created "church" organization. Only 42 parishes and two bishops out of many thousands of parishes of the Ukrainian Orthodox Church; all others were forcibly taken. 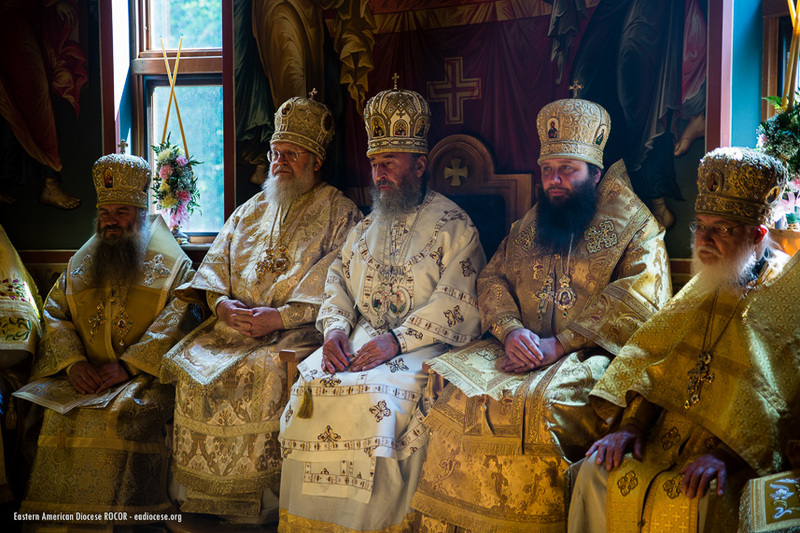 At this point, the government seems intent on assisting in taking several of the largest and best-known monasteries in Ukraine, including the Pochaev and the Kiev Caves Lavras, from the canonical church. This will lead to major conflicts, more violence, and will displace hundreds of monastic and faithful, denying access to these holy sites to the "wrong" faithful people. The new "church" structure has hopes to get control, but these sites seem to have been included in the list of sites that Patriarch Bartholomew requested for his own in a "side-deal" signed with President Poroshenko. We are pained to watch this drama, especially dealing, selling, trading of the most sacred places and items, and giving up any sense of spiritual values in exchange for the evils of this age – power, money, influence, and titles. We close with the words of His Beatitude, Metropolitan Onufry’s, statement to the President of Ukraine: "Mr. President! I want to make sure you understand what we are saying. We, that is, our Ukrainian Orthodox Church – support Ukraine, as a holistic united government. We are for tranquility, for peace, for mutual understanding, and unity among our people. We have always championed and declared this. The details I brought to you today, only harm our government. Find a way to make this stop. I am sure it is within your power!" We pray that the will and determination will prevail within the government to restore religious freedom in Ukraine and that the persecution of the Church will cease immediately. We call on people of conscience, human rights organizations, and world-wide religious freedom and human rights organizations to pay close attention to the untenable situation in Ukraine and to help end the flagrant violations of religious freedom. We call on local and world-wide mass media to honestly and fearlessly report on the events in Ukraine. During these days of Great Lent, we ask the Orthodox faithful to intensify prayer for the Ukrainian Orthodox Church and its Primate, His Beatitude, Metropolitan Onufry, and for the restoration of peace and love in the Ukrainian land.